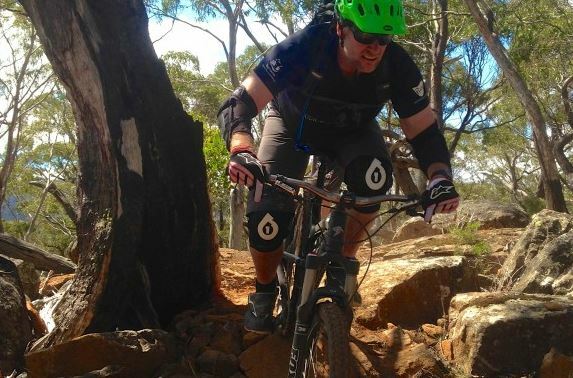 Juggernaut is currently the go to trail in Tasmania. Purpose build by Dirt Art, this trail pack a serious punch in it's short 10km length. 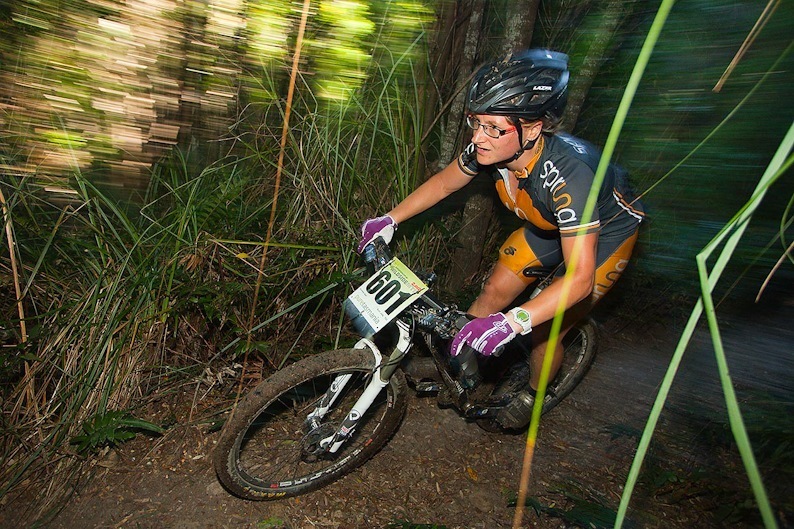 The top 5 km lends itself to shuttling with the remaining 5 km back to Hollybank MTB Park as undulating trail, but still packed with heaps of features. This trail requires a number of rides just to find all the launch pads. Side adventures include Black Diamond Reverb and Ginger Ridge trails. When a trail is a really good one, you’ll know it’s name before you even know where it starts. Hobart’s North-South Track is one of these masterpieces. A ten kilometre (mostly) descent that takes riders from a signposted car park at The Springs, half way up Mt Wellington, down to Glenorchy Mountain Bike Park. This is a track that is purpose built but has nothing to do with racing. It’s genius lies in its ability to thrill riders of all types, a carefully crafted journey with a landscape that changes dramatically along the way. 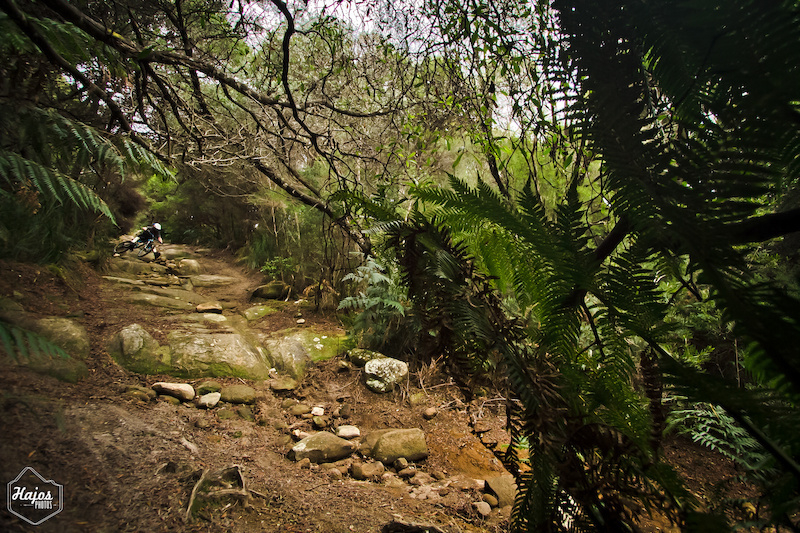 Granite outcrops and slabs, myrtle beech forests and tree ferns, flowy trail and rocky descents make the Blue Tier Descent a ride of incredible variety. 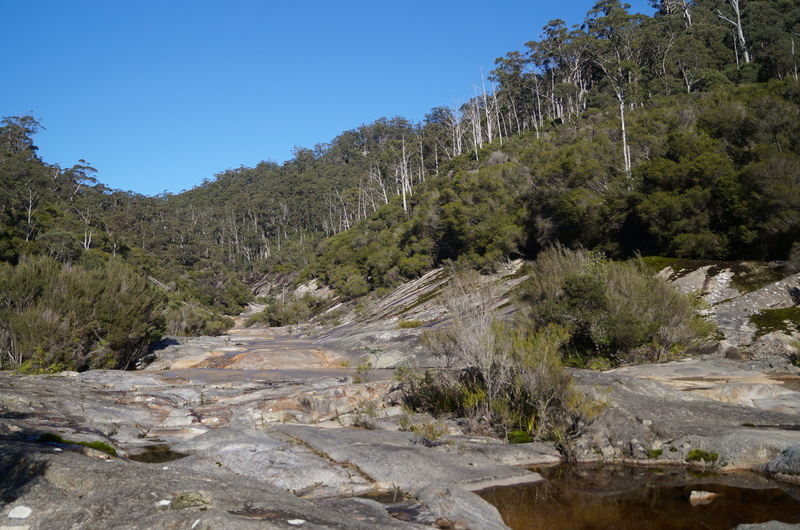 Starting in a sub-alpine environment with at times spectacular views, the trail then winds it's way through dense, damp rainforest with numerous creek crossings. 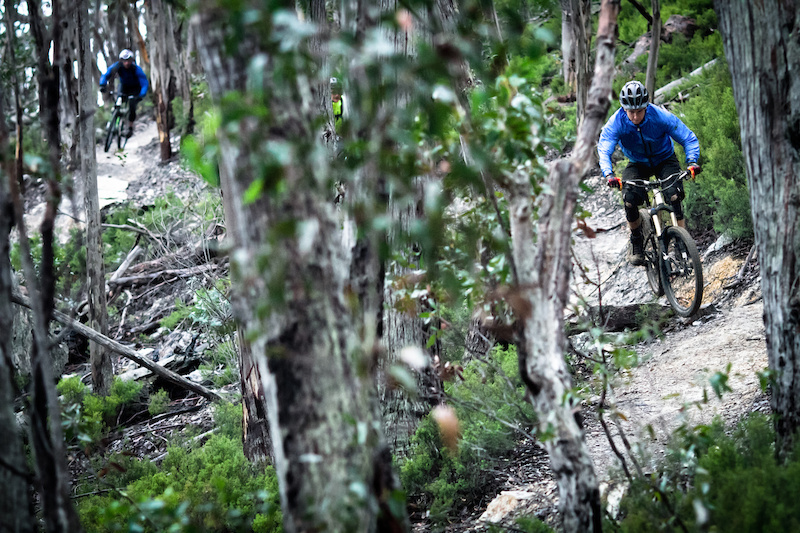 The Blue Tier is a favourite amongst the Tassie MTB community. Montezuma Falls is a stage to remember - and for all the right reasons! After a steep climb riders begin 35 km of superb riding along an old disused tramway. The tramway gently inclines and becomes enclosed by overhanging vegetation and narrow cuttings. The track approaches the Montezuma Falls bridge, and before the bridge there will be an alternative track that riders can take to avoid crossing the bridge, if they choose. Soon after crossing the suspension bridge below the spectacular 100m high Montezuma Falls, or arriving back on the main track after the alternative route, you'll reach the high point and then select top gear for a fast ten kilometres downhill to Melba Flats. 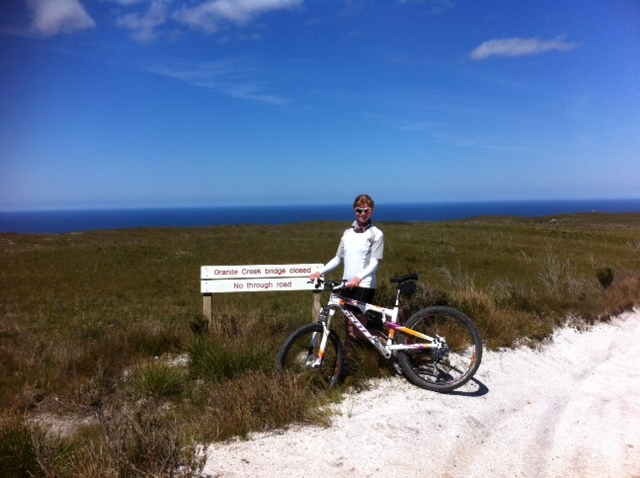 The Granville Harbour track is mountain biking at its best. After a steady climb out of Trial Harbour, riders turn on to the 4X4 track to Granville Harbour. This track has it all as you traverse the coastal heath with the Southern Ocean below and Mt Heemskirk looming above. Numerous creek crossings, rocky descents, bedrock and washouts make for a memorable ride. The track improves after crossing the Tasman River bridge for the last fast kilometre to the finish.